Town in Moravia. Its Jewish community is said to be the oldest in Moravia. According to Cosmas of Prague (d. 1125), a Jew named Podiva founded (1067) the castle which was named after him "Podivin"; this is still the Slavic name of the town (Pertz, "Monumenta Germaniæ Scriptores," ix. 80; D'Elvert, "Zur Gesch. der Juden in Mähren und Oesterreich-Schlesien," pp. 49, 52, Brünn, 1895; comp. Grätz, "Gesch." vi. 61). This community may therefore be regarded in a certain sense as the mother of the Moravian communities. Local documents relating to it do not, however, reach back further than 200 years. According to popular tradition, the synagogue was built about 150 years ago. The earliest tombstones are dated 1690. 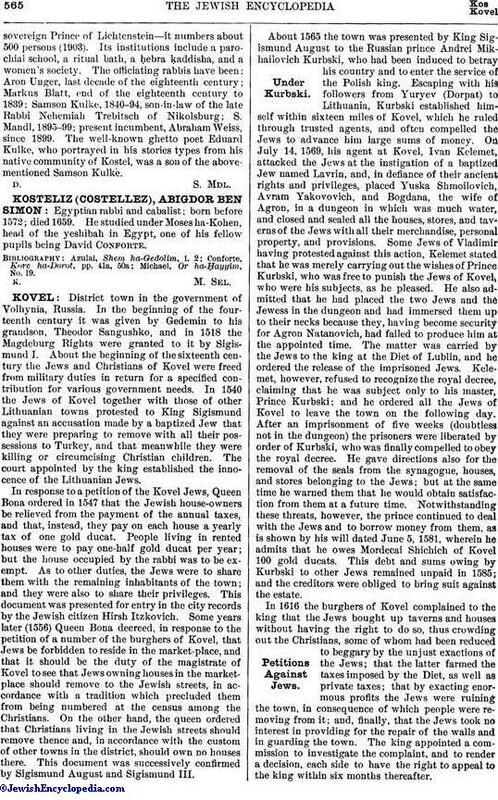 Kostel is one of the congregations of Moravia which possess the rights of a township. With its branch at Eisgrub—the summer residence of thesovereign Prince of Lichtenstein—it numbers about 500 persons (1903). Its institutions include a parochial school, a ritual bath, a ḥebra ḳaddisha, and a women's society. The officiating rabbis have been: Aron Unger, last decade of the eighteenth century; Markus Blatt, end of the eighteenth century to 1839; Samson Kulke, 1840-94, son-in-law of the late Rabbi Nehemiah Trebitsch of Nikolsburg; S. Mandl, 1895-99; present incumbent, Abraham Weiss, since 1899. 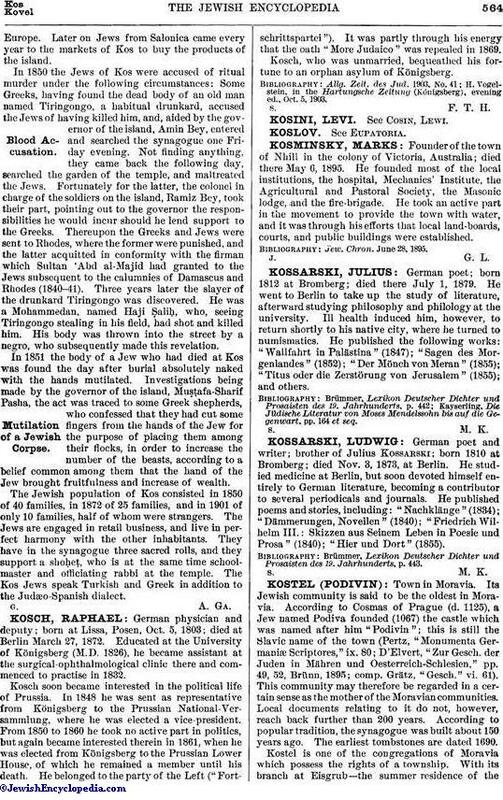 The well-known ghetto poet Eduard Kulke, who portrayed in his stories types from his native community of Kostel, was a son of the above-mentioned Samson Kulke.